Obama supporter and actress Eva Longoria is Texas congressman Joaquin Castro’s Spanish tutor. 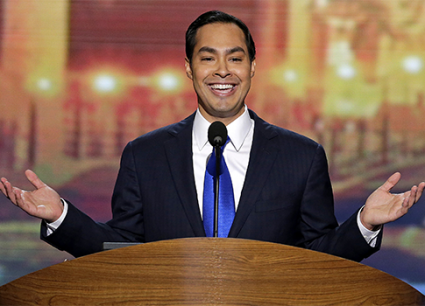 He is the twin brother of San Antonio Mayor Julian Castro. Julian Castro headlined the 2012 Democratic National Convention, which was a position to rally the Hispanic vote. He spoke a few lines of Spanish during his DNC speech even though he admits not knowing Spanish well. Castro ran for mayor in 2009 vowing to lower crime rates and improve the city’s economy. However, as the Washington Free Beacon previously reported, he has fallen flat on his goals.